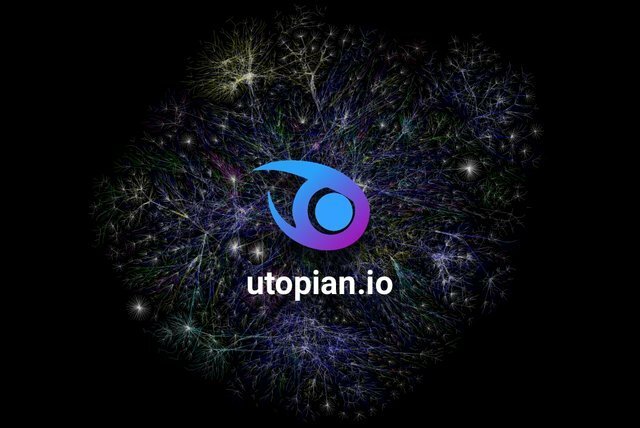 Many people don't know this, but @utopian-io is developing Utopian Colony, which is a digital ecosystem of crowdsourcing created to connect open-source developers and their projects to contributors and investors. This initiative is currently being hosted on Indiegogo. Utopian is working with many high-functioning community platforms such as Steem Monsters, Actifit, SteemPress, Steemhunt, Quasar, and SteemSTEM. To encourage participation, Utopian is offering many tantalizing packages and "perks" to investors and contributors. Utopian still takes an extra step. Since utopian is based on the STEEM blockchain, it is only right that a "secret perk" be exclusively offered to members on the Steem blockchain(Yes, this means Steemit users as well as holders of the STEEM and SBD tokens). From the Indiegogo page, we can see the many perk packages. Utopian Colony is scheduled to be released on or before the Q3 of 2019, but you can access it earlier by Q2-2019 and have the advantage of an early adopter, as well as the opportunity to be involved in the growth of Colony. This will also earn you the Early Supporter Badge. The Special Steem Badge will be displayed on your Utopian Colony profile page when the platform is deployed. It will serve as evidence of your early participation, adoption, and support of Utopian Colony as well as the Steem blockchain. Now, remember I said Utopian was working with other communities such as Steemmonster and Actifit? Well, these supporter apps also include their little gifts in the Steemian Bundle. Steemmonsters is a highly addictive online trading card game that is hosted on the blockchain. Battlers can purchase or win monsters, train them and battle for fame, entertainment and prizes. Acquire the Special Steemian Bundle and get free cards and decks. When you purchase the Special Steemian Bundle, SteemPress will give you a month's free subscription to use their SteemPress plugin that allows you to post from your blog to Steemit and get rewarded for it. SteemHunt is a community Dapp that focuses on finding new technological innovations and rewarding the finders of those gems. SteemHunt plans to deploy a new platform called Reviewhunt that will enable tech makers to run review campaigns to unleash product launching hype by hunters. When you purchase the Special Steemian Bundle, you will also receive a ticket to access ReviewHunt. Actifit is a Dapp that encourages a healthy lifestyle based on regular exercise and achieving fitness goals. After you Purchase the Special Steemian Bundle your Indiegogo badge will be displayed on your Actifit profile page. As the name implies, SteemSTEM is a community based on promoting content relating to Science, Technology, Engineering and Mathematics on the steem blockchain(Steemit platform). When you purchase the Special Steemian Bundle, you will also get free promotion of your steemit posts from SteemSTEM. When you purchase the Special Steemian Bundle, you will receive one ticket to the very exclusive, high-level radio broadcast show where new updates and inside information are shared. Basically, you enjoy the perks of an investor! You too can be a part of the Utopian Indiegogo campaign. All you have to do is visit the Utopian Colony Campaign Page on Indiegogo, opt in to contribute and you will see the various options available. For the Secret Bundle, you will have to use this custom url. You can only see this perk by using the URL provided hence the name secret bundle! CHECK OUT THE SECRET SEEMIAN BUNDLE NOW! All actions that promote joint work should be applauded. Organizing people to act as a team is not an easy job. Because of this, the reward system works as a positive stimulus. I understand that behind is the objective of promoting the platforms that sponsor it. But this does not detract from the intention of gathering wills.